1 book. 7 weeks. 14 images. In a nutshell, this is the assignment we were given. To demonstrate the elements and principles of design in a series of images and composite them into a book, image set, or CD- whichever medium we chose. 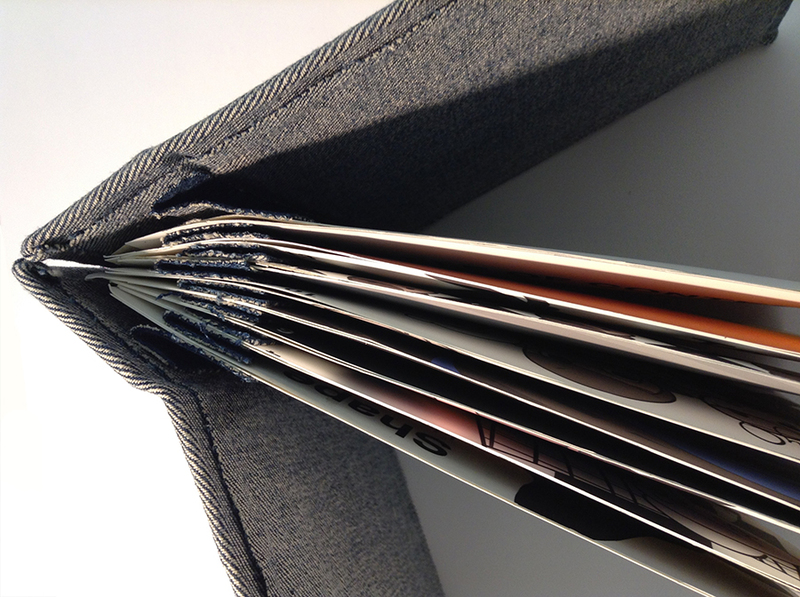 I chose the Japanese bookbinding technique, as I’d done it before in a sculpture class and knew I’d be able to do it easily, allowing for more time to be spent on the book itself and the images. 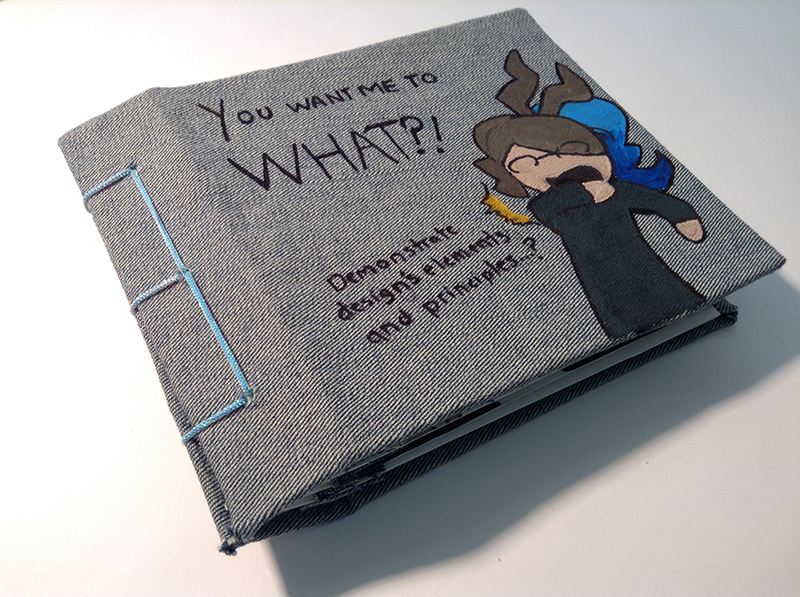 I knew I wanted to build a book; to me, it feels more professional to hand someone an artbook rather than to display a box with separate images inside or a painted CD case with a regular CD inside. I chose to create 14 new images for my book, as I felt I could create a more unified book with 14 related pieces rather than mixing together images that didn’t fit together at all. It also gave me the opportunity to examine how I interpret the terms, considering that many of them have more than one meaning. There is one subject depicted on every page of the book, and that would be myself. It certainly seems narcissistic; however, I chose to do so because I wouldn’t have to spend as much time deciding what I was going to draw and instead get more time to polish the pieces. I also used more than one style, be it in the colors, the level of detail, the anatomy, and a few other things. Not only would it be rather dull to view the same person in the same style again and again, but also because it posed a greater challenge; as I couldn’t re-use a style, I had to look for new methods to draw the same thing. The cover is a comical, cartoony style, like the rest of the book. I didn’t want there to be dissonance between a classy or elegant cover and the stylized, toonish pages. 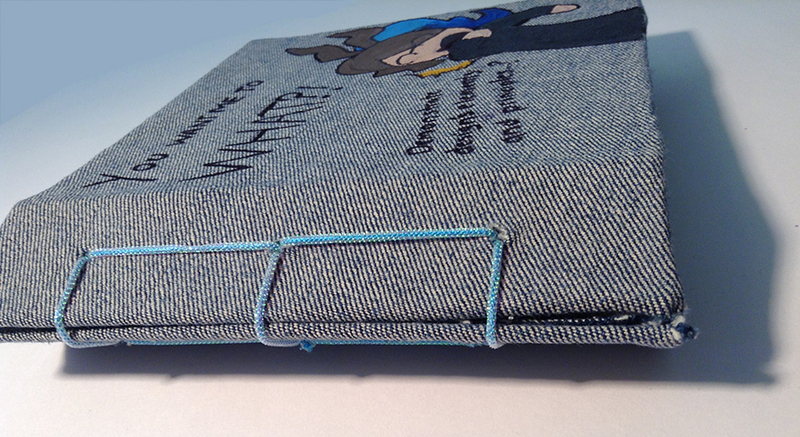 The denim fabric used for the cover is easy to draw on with a permanent marker, and takes acrylic paint rather well without it seeping through the base onto the other side. It also accurately describes my reaction to the project when it was assigned. 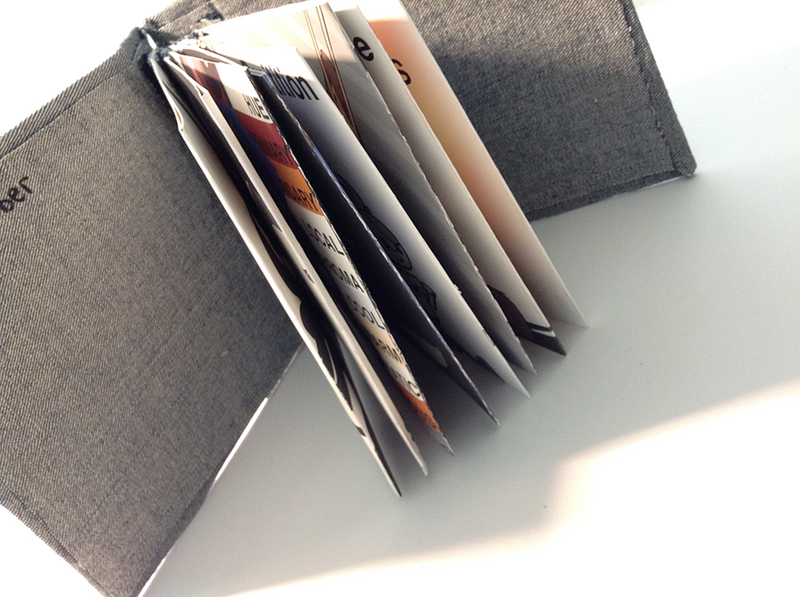 This entry was posted in Non Time-Based and tagged Foundations, Japanese Bookbinding. Bookmark the permalink.